HONOLULU -- A siren blared across Hawaii on Friday for the first time since the end of the Cold War in an effort to prepare tourists and residents for a possible nuclear attack from North Korea. 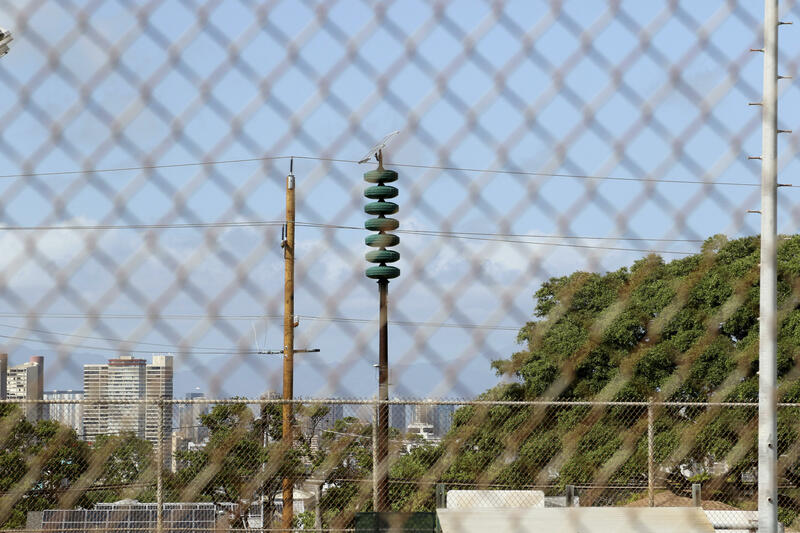 The state is the first to bring back the Cold War-era warning system, Hawaii emergency management officials said. The wailing siren sounded for a minute after the usual testing of the steady alert for tsunamis and other natural disasters that Hawaii residents are used to hearing. There was little reaction from people on famous Waikiki Beach, where the test sounded like a distant siren. "We believe that it is imperative that we be prepared for every disaster, and in today's world, that includes a nuclear attack," Gov. David Ige said this week, adding that the possibility of a strike is remote. Ige said the new test will ensure the public knows what they should do in case of an imminent attack. If a missile is launched, residents and tourists would have less than 20 minutes to take shelter, officials said. Speaking to Reuters news agency this week, Ige said the North Korean threat is the "new normal." "A possibility of attack today is very remote, but we do believe that it's important that we be proactive, that we plan and are prepared for every possibility moving forward," he said. Vern Miyagi, administrator for Hawaii Emergency Management Agency, said the state delayed the test for a month to let people know it would be happening. Hawaii turned to public service announcements on TV and radio, town hall meetings, information on agency websites and media stories. The sirens were barely heard Friday in the busy tourist area of Waikiki, where few people reacted when the attack warning system sounded for the first time since the Cold War. Miyagi said early reports indicate the test went well, but the agency could get complaints later. He said 385 warning sirens are located throughout the islands. Miyagi said how well someone hears them depends on how close they are to a siren.